Pardon our tardiness, but February was a big month! We officially started offering classes in Wheel Throwing and we hosted our first Hand Building workshop for local retailer Need Supply. The session started off strong with a full house in each class (yippee!). We were so excited to start teaching, we couldn’t wait to welcome the community and fellow clay enthusiasts, and newbies, in to Hand / Thrown. 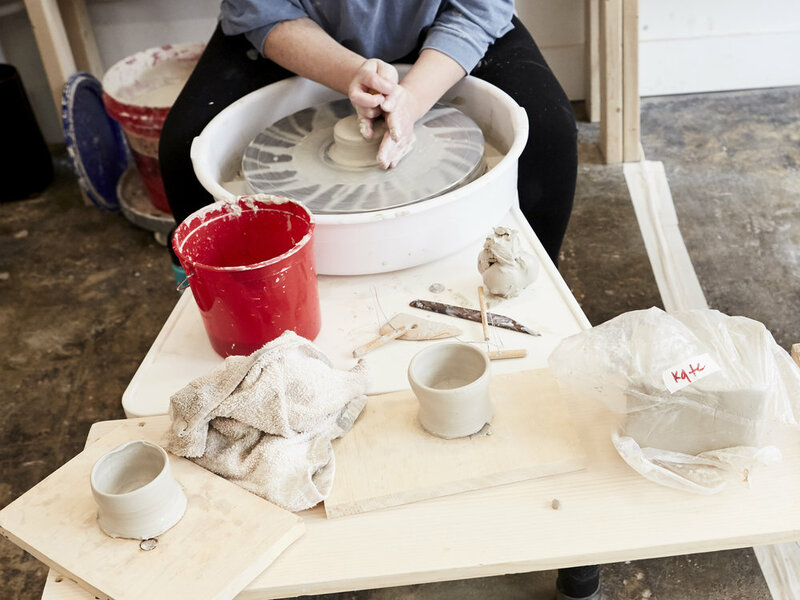 One of our favorite things about ceramics is the ability to share the craft with others. Having a space that can host so many people on their exploration of clay is one of the main reasons we started Hand / Thrown here in Richmond. We wanted to create a space where people could come and explore a new craft, in a nurturing environment full of excitement. Our students definitely brought the enthusiasm, and the skills! With our first session under our belt, we can’t wait to expand our offering as interest grows. 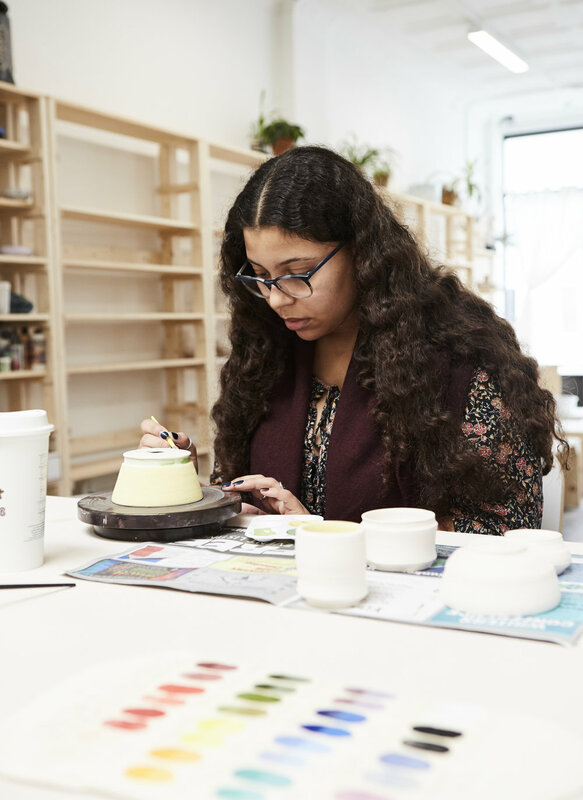 We hope to host more pottery classes, expand our workshop offerings, and work with local schools for field trips and programs for our Northside neighbors. Have a look at the images below to see our first round of students beautiful work! 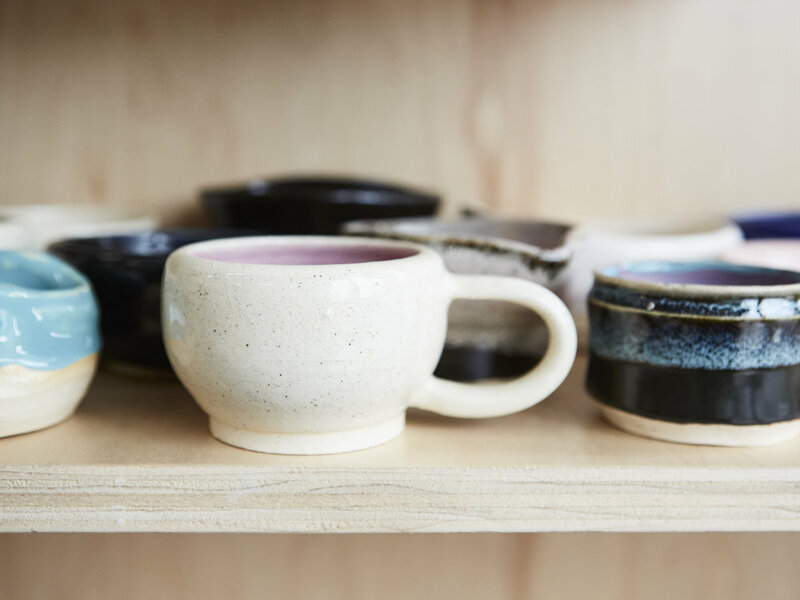 Colorful, unique, and handmade at Hand / Thrown Studio. We couldn’t have asked for a better group to kick it all off!